Hello, Geeks, and welcome to our latest installment of Comics You Should Have Read By Now. For those of you joining us for the first time, we make it our mission with this article to highlight the best works that the industry has to offer. But while this sounds pretty straightforward, it is somewhat tricky to quantify, as different things can be the “best works” for entirely different reasons. Things can be good for thought-provoking stories, or for beautiful artwork, or for a profound message. Sometimes, a comic can move you with ingenious storytelling that pushes the limits of the medium. Today’s selection, though, manages to do something entirely different: it represents what I think think to be the greatest fan book to ever grace comic shops. That’s because today we’ll be taking a look at the most epic comic crossover of all time, JLA/Avengers. Yen: verb 1. feel a longing or yearning. That’s exactly how we feel about the stuff we love, but, more importantly, it’s really how we feel about the stuff they make out of the stuff we love. Toys, statues, posters, pogs; we love it all, and we WANT it all. It’s Geek Yen! Man, the time can really fly by on you sometimes, can’t it? It’s hard to believe that it’s already been 3 years since the biggest super hero movie of all time, The Avengers. A groundbreaking feat, the big-screen adaptation of Marvel’s premier super team combined together multiple multi-million dollar franchises to bring several beloved comic book icons to life on the big screen. And it was actually good. Such an accomplishment is one that would have seemed impossible to most fans a decade ago, and the fact that they pulled it off led to some highly deserved accolades. But the world moves on, Marvel Studios moved on with it to Phase Two. The inevitable sequel to The Avengers would have to try to be bigger and bolder than even the mighty original, which brings us to the present and the newly released Avengers: Age of Ultron. And while there are some challenges that cause the film to stumble in some areas, the overall package is indeed one hell of an impressive movie. The action, as you probably know, centers around the MCU’s biggest heroes squaring off against Ultron, an AI experiment gone horribly wrong. Along the way, they pick up new enemies and allies, and we gain more tidbits about the grand scheme of things with the Infinity Gems Stones being moved around. With this as our backdrop, we are taken a wild ride from start to finish. 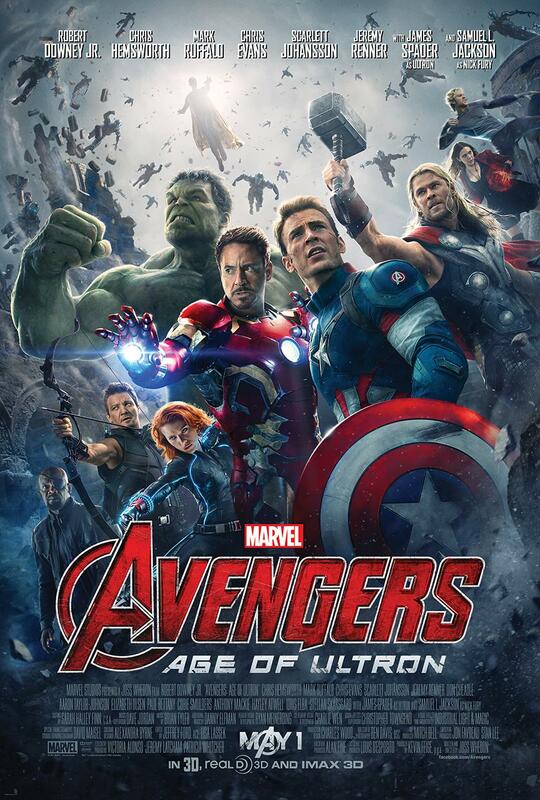 Make no mistake; Age of Ultron is unabashedly a popcorn movie. Not that there’s anything wrong with that, but know going in that you won’t find a lot of deep-thinking moments, even relative to other MCU movies like Winter Soldier. With the return of both the actors and director Joss Whedon, it should come as no surprise that AoU brings a similar tone and atmosphere as the original, combining large action set pieces with dialogue-heavy character interaction. Thankfully, Whedon is a master of both, with fight scenes that drip with fan-pleasing glee and snappy dialogue that has become the director’s trademark, made all the better by a talented cast that has become very comfortable with their respective roles. As we have come to expect, all of our returning actors give great performances. Robert Downey Jr gives us Tony Stark’s affable arrogance, Chris Evans strongly portrays Cap as righteous but melancholy, and Mark Ruffalo brings both Banner’s charm and the Hulk’s rage to life masterfully. And after having to sit out most of the original, Jeremy Renner’s Hawkeye steps up to deliver some of my favorite moments from the whole movie. This being a sequel, though, there is also an array of new characters on display. Among these, James Spader’s Ultron in particular is outstanding. Equal parts disarmingly fascinating and morbidly insane, Ultron is just as mesmerizing as he is menacing. Another villain worth mentioning is Andy Serkis’s Klaw, who was memorable in his brief appearance, and who has me looking forward to seeing more. On the heroic side of things, Quicksilver and Scarlet Witch are both on the scene, portrayed by Aaron Taylor-Johnson and Elizabeth Olsen respectively. Other than some…distracting Eastern European accents, the pair do a good job bringing the characters to life, giving the twins emotional chips on their shoulders that play well into their role in the story. For me, though, the best new addition to the good guys’ bench is Paul Bettany as the Vision. After providing the voice for our favorite virtual butler for so long, it’s impressive to see Bettany transition so well to having more physical presence. The character has a compelling mystique to him, a product of both writing and performance. His reveal in Age of Ultron is in many ways similar to the Hulk’s from the original: lots of build-up for a showstopper at the end. So the acting is strong across the board, but how do things stack up in the story department? For the most part, pretty well. The characters all have clear motives and events flow naturally from cause to effect. The story switches back and forth from over-the-top action and fight scenes (Hulk vs Hulkbuster is everything you dreamed it would be) to small character moments to flesh out our heroes. Yet while these moments are well executed, they also illustrate the film’s biggest pitfall: it is extremely crowded. What moments there are were put together well, but there are several characters (the Maximoffs and Thor chief among them) that don’t get fleshed out quite as much as you would want. I suppose that this problem is one we should have expected; we all knew the cast was comprised of a small army. Considering that, Whedon and company did as well as people could have reasonably hoped, but the dense cast is still a noticeable problem. Other than this, all of my other complaints are of the nit-picky variety. 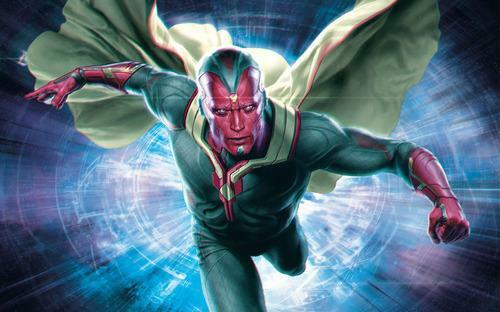 The CG in some scenes is surprisingly hokey looking, it is somewhat unclear to me just what exactly the movie’s version of the Vision is capable of, and there are some scenes where our more powerful members are conspicuously absent (Thor going on his spirit walk, for instance), presumably to keep the villain from being defeated before the finale. And while I didn’t mind so much, some comic fans might take issue with some fairly drastic changes for some of the characters. Really, though, issues like this amount to pinpricks in the side of a battleship: hardly something that is going to sink the project. Age of Ultron brings together an amazing cast to tell a gigantic story, and is full to bursting with engaging characters, astounding action, and sheer fun. Ultimately, it didn’t knock my socks off like seeing the team together for the first time did in 2012, but I had been waiting for that my whole life without knowing it. And after seeing how awesome Marvel’s tentpole Avengers franchise continues to be, I’m sure it will feel like another lifetime while we wait for Infinity War. Marvel’s Secret Wars are (almost) finally upon us! It’s been a long and winding road to Battleworld, through Multiversal Incursion after Multiversal Incursion, two different Avengers series, an event or two, and the destruction of the entire Marvel Universe, but we made it. Now, if you have no Earthly idea what any of that means, you are not alone. Jonathan Hickman’s epic sci-fi tale of betrayal, war, destruction, and morality that culminates in Marvel’s 2015 mega-event started way back in 2012 with Avengers #1, quickly became part of Hickman’s other ongoing, New Avengers, swerved right into the Infinity event, and has encompassed nearly 100 single comic book issues. That’s a whole lot of story to catch up on if you’ve missed out, but this primer series should be all you need to understand exactly what’s lead to Secret Wars, what the event is all about, and even includes a brief tour of Battleworld itself. Even if you have kept up with everything up to this point there still may be some things you can take away from this summary, and I’d love any fact-checking you can provide. Time-Travelling Avengers Take on Ultron This April! Something went wrong when the Avengers Unity Squad tried to teleport to Counter-Earth to find Scarlet Witch and Quicksilver. Now the entire team is spread out all over Counter-Earth and in dire straights because the High Evolutionary has genocide on his mind. So has Remender’s Uncanny Avengers epic risen from it Axis ashes to reclaim the glory it once had or is it an unfocused mess like the last issue?